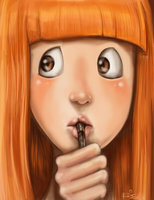 l am a freelance Character Designer and Animator..l've been drawing since l knew myself . l was into traditional art at the start and began using painted and water color techniques.Later on l discovered my love for Animation and Character design. l combines the traditional knowledge of art with all of my art works and character designs.